Family-owned-and-operated, The Bead Fairy specializes in offering a large selection of glass, crystal, bone, horn and semiprecious stone beads for use in creating personalized easy and elegant jewelry for all occasions! We have the experience and the knowledge to assist you with creating one-of-a-kind fashion accessories at affordable prices. We offer competitive prices on Swarovski crystals, sterling silver beads, semiprecious stones from amethyst to Australian jasper, Indian and Czech glass. We have a variety of earring, necklace and bracelet clasps and findings created from nickel, gunmetal, copper, sterling silver, silver plated, gold plated and gold filled of all types. We would love to assist you in the creation of jewelry pieces that will add a dash of pizzazz to any outfit for any occasion. 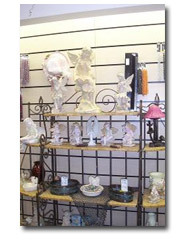 We are located at 9417 South Union Square (680 East) in Sandy, Utah. Come see us soon! 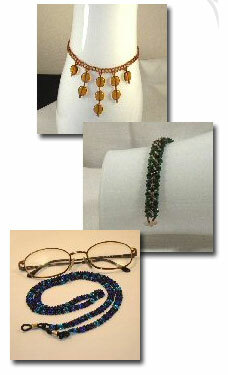 Basic beading classes are normally held one night per week. 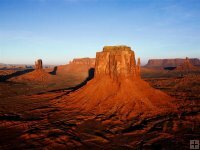 Utah every other Tuesday evening. to sign up or sign up at of the Bead Fairy store.